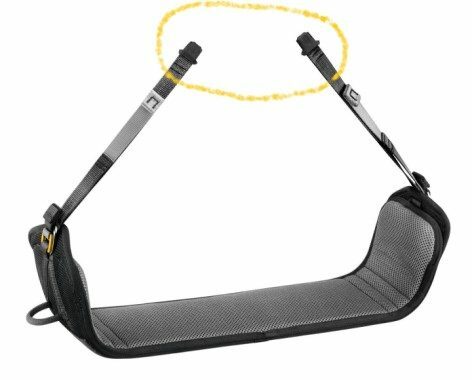 It has been brought to our attention that on the 2018 Podium (S071AA00), the suspension straps are not as described in the Technical Notice that accompanied the Podium when sold. The loops are intended to be large enough to permit a karabiner to be threaded through them, but in fact, this is not possible on about 15% of the Podium’s manufactured. If you use an ASTRO Harness this is not an issue as the supplied D Shackles are designed for this connection. If you use a different model harness, in the short term you will need to connect your karabiner to the D Shackles provided and request replacement straps below. Please fill in your details below to order your replacement straps. Posted in Alerts & Recalls, Pro News.